OK was too paranoid, just installed ML on my Macmini2,1 with success and Thomas clarified my misunderstanding, ML is fine. He had an issue at reboot and had to rebuild permissions, but I did not have this behaviour. As I said in the comments, I do pres the alt when install is finished and when the Mac reboots. Can’t tell if this changes something or not, just telling What I’m doing. So now ML is back on track. 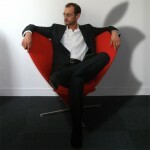 OK je suis un peu trop parano ;) je viens de re-tester et d’installer Mountain Lion sur le MacMini2,1 avec succès. Thomas a préciser que tout etait ok pour lui, mais qu’il avait eu un soucis au premier boot et avait du reconstruire les permissions. Je n’ai pas eu besoin de la faire et le premier boot s’est bien passé. A noter que je presse la touche topion-alt au démarrage à chaque nouvelle install lorsque le Mac a plusieurs systèmes. Je ne saurai affirmer que cela a un impact ou pas, je rapporte simplement ce que je fais. bref, Mountain Lion à nouveau dispo. You may remember from my comments on another post I had difficulties with the key that your script made (never progressed past the gray Apple logo/spinner if I tried to boot from the key). Well, turns out that your suspicion that the USB key itself was to blame was indeed correct. I bought a new USB stick yesterday, ran the latest version of your script, and lo-and-behold, I’ve installed Mavericks without a hitch on my external test-HD and my MacPro 1,1 purrs along nicely. :D So thanks for all your hard work to make this procedure as simple as it is now. 1) Is it normal that the USB disk only shows an applications folder inside when your script is finished? The install of Mavericks went fine, so I don’t think there is a problem per se, but I was just wondering why you elected to make all other files on the stick invisible? 2) I’d like to upgrade my Lion install on my main HD to Mavericks instead of formatting and installing from scratch. Is that possible with this modified installer? In other words, will the installer update the boot.efi files on an existing Lion install on a MacPro 1,1 during upgrading? well just the same here. It is the same with the ‘official’ Apple script for supported Macs. you must (should) do a clone backup before. as you should always make a backup of your system prior to any Update and even more prior to any Upgrade. this backup stuff has nothing to do with the fact we’re playing with unsupported features this is just common precaution. never update/upgrade without a backup of current working state of the system. That being said, I’ve not tried to upgrade from an existing system to Mavericks. In any case we’re dealing with the ‘apple way’ here so, I guess Yes you can do it. As I’ve not done it, I can’t assure you. What I can assure you is that on supported Macs I’ve many times did upgrade the system on existing ones. The Tiamo’s boot.efi “tricks” the board and the install (to say things simply). Sfott makes is “simpler” to achieve it (to make a key installer), I would say then that yes, installing Mavericks on an existing Lion system should work. Again as I said above, NEVER EVER try to upgrade System Os version WITHOUT a backup – this would be Crazy ( ok risky). I’m a paranoid guy when speaking of systems and users datas backups. I always take for standard 1 disk equals 3 : 1 running – 1 exact clone ( CCC or Synk Pro depending on system or users datas — daily, weekly or manual) – 1 backup (incremental or aka Time Machine to say it simple – and or remote backup). thatbeing said, Mavericks (Tiamo based SFOTT installer) should also install Tiamo’s boot.efi in the process, even when upgrading. This is something I haven’t tried yet, but I don’t see why it would not work. That’s really good news. Thanks for coming back for the update. Used this today on my Mac pro 1.1. Followed the instructions and 30mins later I had Mavericks running without issue. Updated to 10.9.1 and all seems fine. For the record I used a 8gig Sandisk Cruzer for the USB. My Mac has 2xXeon quads (I upgraded from the Duos previously) which are still not recognised by the system info. As far as I am aware the update to 2.1 brings no benefit apart from them showing on the info screen. Geekbench score and istat indicate that all the cores are active. I have a 5870 fitted, 11 gig Ram and a 100gig Ssd for the system. Even 8 years on this is a well above average workhorse. Thanks for all your efforts in making this so easy (and possible) they are very much appreciated. Anyway, thanks for the feedback and the config. 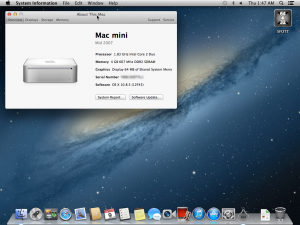 1 Pings/Trackbacks for "SFOTT | 1.3.9.5 – Mountain Lion back on Track"